Resurrection Fighting Alliance (RFA) president Ed Soares announced Friday that the promotion will be bringing two title fights to the first legally sanctioned MMA event in the state of South Dakota. RFA 17 – Cochrane vs. Giagos will feature a main event between two exciting lightweights as RFA fan favorite Dakota Cochrane faces fast-rising prospect Christos Giagos for the inaugural RFA lightweight world title. In the co-main event, Mark “Tricky” Dickman faces fellow Missouri native and highly-touted prospect Justin “The American Kidd” Lawrence for the vacant RFA featherweight world title. The event takes place Friday, August 22nd at the Sanford Pentagon in Sioux Falls, South Dakota. 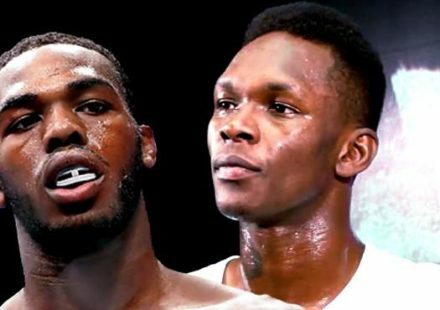 The entire main card will be televised live and nationwide on AXS TV at 10 p.m. ET / 7 p.m. PT. 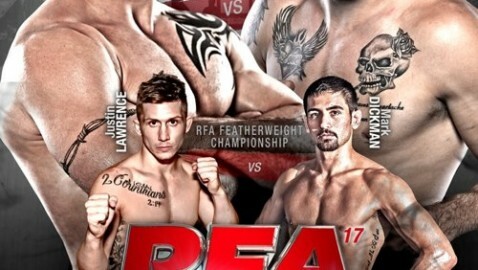 Tickets for RFA 17 – Cochrane vs. Giagos are available for purchase NOW through Ticketmaster.com or by calling 605.312.7900. Ticket prices start at $25, reserved seating is available for $30-$40, and cageside seating is $125. Cochrane (17-5) has fought for the RFA more than any other fighter and is looking to make his record seventh appearance for the promotion his crowning moment. In the process, he hopes to keep his impressive 2014 run intact. In March, Cochrane defeated seven-time UFC vet and The Ultimate Fighter 8 champion Efrain Escudero in the main event of RFA 13 in his home state of Nebraska. 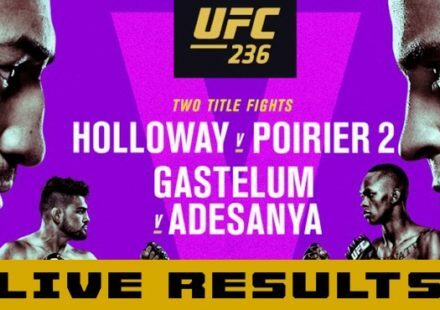 He followed up that impressive win with a scintillating 48-second flying knee KO of three-time UFC vet Anton Kuivanen in Finland earlier this month. Now he will look to become the first-ever lightweight champion for the promotion he has been a part of since 2011. Giagos (9-2) will also be looking to add to his flawless 2014 tenure by capturing the RFA lightweight title in August. In April, Giagos picked up his first win of the year with a TKO over Preston Scharf, who is a longtime representative of The Pit. He followed up that win earlier this month with a first round Triangle Choke submission win against The Ultimate Fighter 12 quart-finalist Sevak Magakian. The win earned Giagos a regional lightweight title in his native California and a multi-fight contract with the RFA. The first fight on that contact will come in August as he looks to add more hardware to his trophy case. 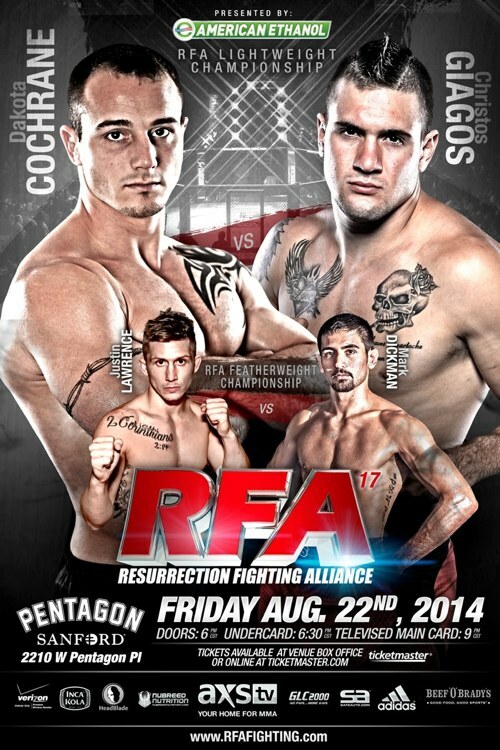 The co-main event of RFA 17 features another RFA fan favorite in Dickman (9-1). Just like Cochrane, Dickman has been a part of the RFA since its inception in 2011. In that time, Dickman has established himself as one of MMA’s most promising and entertaining featherweight prospects by combining his decorated wrestling pedigree with a fan friendly style of fighting. The 2007 NAIA national champion wrestler was destined for greatness in MMA. While wrestling at Lindenwood University, Dickman was teammates with Mike Rio, Josh Sampo, and Jonathan Brookins who all went on to win bouts in the UFC. However, it’s Dickman’s seamless transition into MMA that could make him the most successful fighter to come out of the esteemed LU Lions wrestling program. This was evident in April, during his #1 featherweight contender bout against the previously undefeated Raoni Barcelos at RFA 14. Dickman rallied to defeat the highly regarded jiu-jitsu black belt via Rear Naked Choke in the second round to secure a shot at the RFA featherweight title. Lawrence (5-2) grew up only 2 hours down the road from Dickman in his native Missouri and is well aware of the challenge that awaits him. 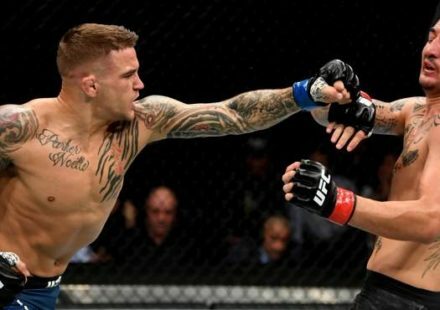 The 24-year-old KO artist gained worldwide notoriety two years ago as a star on The Ultimate Fighter 15. On the show, Lawrence recorded highlight reel knock outs of RFA alum and current UFC star James Krause, as well as PRIDE vet and BJJ black belt Cristiano Marcello. Lawrence reached the quarter-finals before bowing out to eventual tournament champion Michael Chiesa, but returned to make his official UFC debut at the UFC – The Ultimate Fighter 15 Finale. 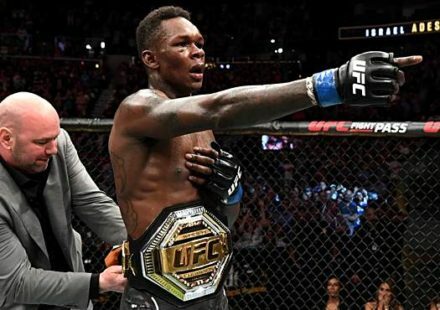 The former two-time Golden Gloves champion and decorated kickboxer only had a record of 3-0 in MMA at the time, but earned “Fight of the Night” and “KO of the Night” bonuses for his devastating KO of John Cofer in his UFC debut. Lawrence, who also made his pro MMA debut for Strikeforce, went on to fight for the UFC two more times before winning his RFA debut last fall in convincing fashion. Many people, including Lawrence, feel that he has turned a corner in his MMA career with his win over Luis Saldaña at RFA 10. Lawrence controlled the game Saldaña with his vaunted striking skills as well as his quickly improving ground game. Lawrence will look to keep that momentum going as he fights Dickman for the RFA featherweight title. The main card of RFA 17 will also feature a pair of exciting bantamweights, who are unbeaten in the RFA, as Luke Sanders (7-0) makes his bantamweight debut against Darrick Minner (9-3). In middleweight action, jiu-jitsu black belt Francisco “Kiko” France (9-3-1) faces local standout Isaac Appel (10-4). In the welterweight division, Jarrod L’Heureux (6-1) will look to avenge the lone loss of his career against hometown favorite Jordon Larson (4-1). The main card will kick off in the bantamweight division, as two-time RFA victor Cory Galloway (4-2) returns to welcome jiu-jitsu black belt Bruno Frazatto (5-1). Frazatto is a decorated jiu-jitsu practitioner and ADCC vet that will be fighting for the first time outside of his native Brazil. The entire main card of RFA 17 – Cochrane vs. Giagos will be televised live on AXS TV starting at 10:00 p.m. ET / 7:00 p.m. PT on Friday, August 22nd. RFA 17 will be the promotion’s first event in the state of South Dakota and the first major MMA event to come to “The Mount Rushmore State”. It will also be the ninth state that the RFA has visited. More fights on the RFA 17 fight card will be announced soon.